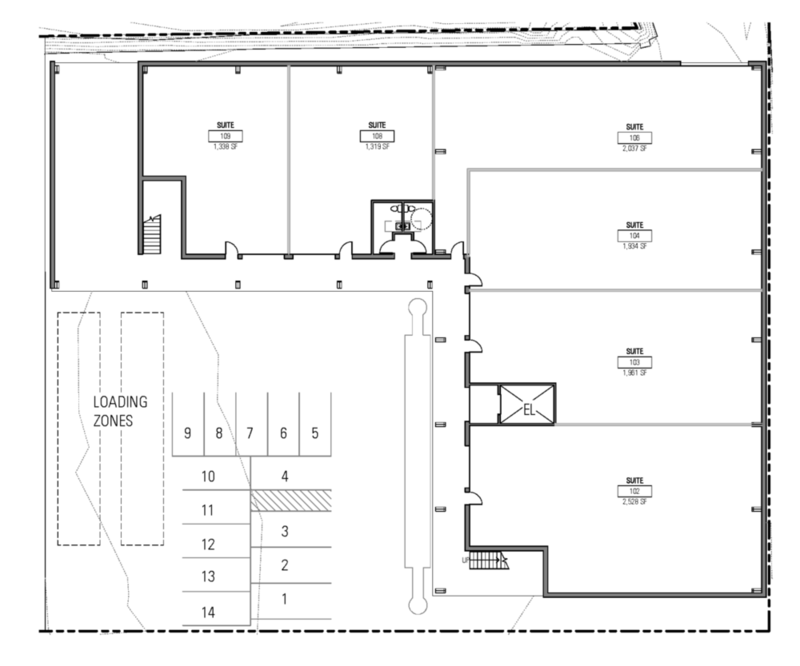 Developer and client, The Freehold Group, was interested in using a pre-engineered metal building (PEMB) system for a new, flexible building in the Interbay industrial area of Seattle. The concept of efficient, off-the-shelf building components assembled into an expressive, economical structure approach has enticed architects for years. An early, compelling example was the home of husband and wife architects Charles & Ray Eames, built in 1949 in the Pacific Palisades area of Los Angeles. Schemata Workshop has designed one prefabricated component building (permitted, unbuilt), but has completed a number of industrial projects using PEMB systems, and refined our skills during that process of renovation and construction. Eames home office interior on the left, Eames House interior on the right. Both are views west toward the Pacific Ocean. The pure engineering of PEMB industrial buildings has a long, known history, but considering PEMB thoughtfully and thoroughly seems to be less common. Deeper consideration for PEMB was purposely part of our process for the R&D Building. The Freehold Group shared examples of the work of El Dorado in Kansas City, MO, along with other examples of industrial work that create a sense of place, including the 798 District in Beijing, PRC; gritty but thoughtfully designed districts in Kyoto and Tokyo, Japan; RiNo Art District in Denver, Colorado; among others. A single PEMB structure that stood out to the Freehold Group was the Healdsburg SHED, which served as a well-executed, inspiring, and elegant example of the building type. Photo from Healdsburg SHED website. The R&D building site during site remediation and civil work. BNSF Diesel filling station directly adjacent to the R&D Building site. For the R&D Building, the client came to us after having completed environmental remediation of the site, and installing a storm water drainage system in anticipation of future construction of an L-shaped building around an outdoor parking area. Early massing studies below, which considered the sense of enclosure provided by the existing adjacent, Freehold-owned Bow Building, as well as views from the surrounding Magnolia & Queen Anne hillsides. Efforts focused on the potential sense of place and identity provided by uses opening onto the courtyard space, with horizontal circulation along an exterior walkway that connects to the vertical circulation of 2-stairs and one freight elevator. The Owner was very interested in the symmetrical gable frame visible from the Thorndyke street frontage, seen on the right. End gable frame is prominent here as well, but the low eaves align with a shed structure to the left. Floor plan shows the two column grids for each of the two building framing systems. Aerial view of R&D Building steel PEMB frame from adjacent rooftop. Site panorama including PEMB frame. Schemata Workshop architects on site visit. Parking court and vertical circulation signage after completion. View north along upper balcony walkway. The owner sourced the guardrails in front of roll-up doors, portions in front of the garage doors are removable for fork-lift deliveries from the parking lot below. An office interior T-I build-out. Still available top-floor unit (see Freehold Group for leasing). In progress T-I, including CLT mezzanine, stair construction, stainless steel mesh guardrail. Architects at a foosball table. Mezzanine of cross-laminated timber (CLT) planks set into wide flange steel support frame. Schemata on upper balcony walkway. Amazing Design-Build-Fabricator El Dorado in Kansas City, MO (website, inspirational but not involved with this project).